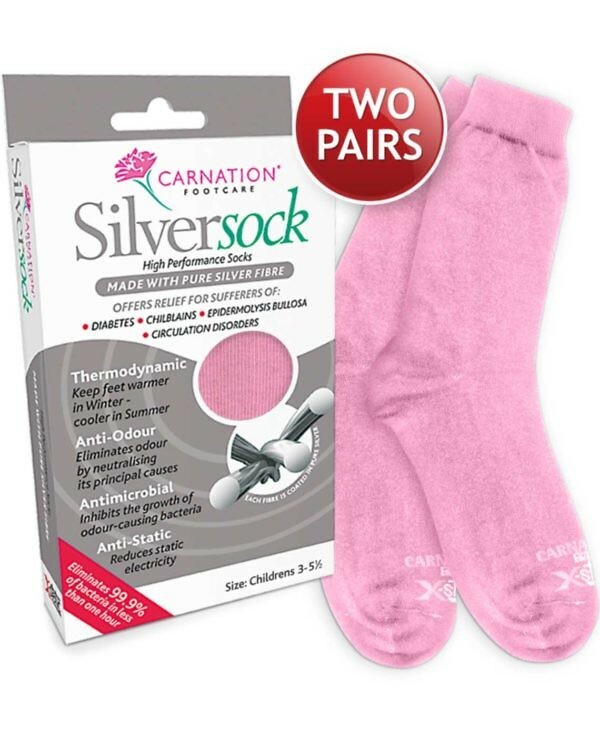 Carnation Footcare Silversock is a high performance sock that contains pure silver, a naturally occurring element. The textile fibres within the sock have been completely and universally coated with pure silver that creates a sock that is thermodynamic, anti-static, anti-odour and antimicrobial, inhibiting the growth of odour-causing bacteria. Thermodynamic, keeping feet warm in winter and cool in summer. 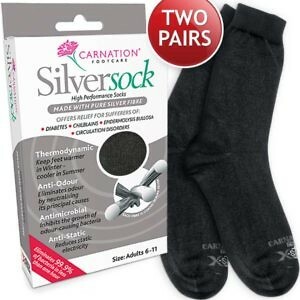 The X-Static silver within the sock is permanently and irreversibly bonded becoming a physical part of the sock fibre; it will not wash off or diminish in effectiveness over time and will last the lifetime of the product.